What Attracts Mosquitoes to Us? Many people are convinced that mosquitoes are more attracted to some people than to others, but is this just a myth? Actually, it's a real thing. While mosquitoes are attracted to some things that everyone gives off, like breath, other mosquito attractants vary from person to person. There are a number of things that mosquitoes like, and what may be attractive to one species may not be an attractant for others. Some are attracted to the blood of humans, others to animals. And, because there are more than 170 species in North America and Mexico, and nearly 3,000 species worldwide, it can be tricky to pinpoint an attractant. Additionally, human skin produces more than 350 odorous compounds, and many of these attract mosquitoes as well as other biting insects. But what has been found to be most attractive to mosquitoes are our breath, sweat, blood type ... and smelly feet! Carbon dioxide is considered to be the greatest attractant to mosquitoes, and they can sense it from more than 50 yards away. Why is this important? Because we breathe out carbon dioxide, so it is virtually impossible to keep mosquitoes completely away. In fact, when the female mosquito (which is the one that bites) senses carbon dioxide (that is, our breath), she will fly in a zigzag pattern, back and forth, until she finds the source. However, there also are things in our breath that attract the mosquito to one person over another once it gets close to the group. For example, larger people tend to exhale more carbon dioxide, so they can be more attractive to the mosquito. The same is true of pregnant women, who also tend to breathe out more carbon dioxide. Mosquitoes are attracted visually, so if you're moving, they can be attracted to you instead of the person sitting still next to you. Additionally, the heat and sweat caused by your movement can make you even more attractive. So if some of the people are very active (such as when playing sports), the combination of their increased breathing, movement, sweat, and heated bodies are very likely to attract the mosquitoes over the person who is sitting very still. A study by the National Center for Biotechnology Information (NCBI) measured the ethanol content in people's sweat, testing their sweat production and skin temperature before and after they drank 12 ounces of beer. The results showed an increase of mosquitoes landing on the subjects after they drank the beer than before. No matter how careful you are, if you have the right blood, you may be mosquito's main target. Another NCBI study found that people with Type O blood attracted more mosquitoes than any other blood type. 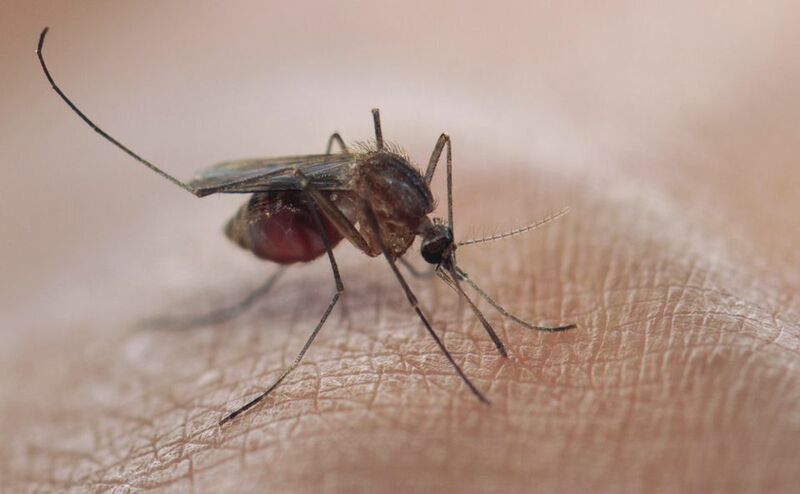 Even more interesting, if the mosquito can tell what blood type you have by its odor, it will be more likely to bite you. Unfortunately, your blood type and its distinguishing odor are carried in your genes, so you really can't do anything about it. Although sweaty, unclean, smelly feet may make other people in your group sit farther away from you, they will bring the mosquitoes closer. According to the US Department of Agriculture (USDA), smelly feet are kind of like Limburger cheese, and mosquitoes are strongly attracted to Limburger cheese. Test results also have shown that combining CO2 (e.g., our breath) with smelly socks increases the attraction of many common species of disease-transmitting mosquitoes.